The last raft trip for 2012…. After last year’s beautiful trip to Utah for the final raft trip of 2011 we thought we would do it again this year. This trip was really special as we didn’t get any rafting with camping trips in this year as the rivers were so low. So we just did a few day trips. Even our dog was excited to be rafting and camping!!!! Although as we drove out through a torrential downpour for at least two hours I was doubting the wisdom of my dedication to this trip… We were so lucky – we drove into the sun and had beautiful weather for four days! The fall leaves were gorgeous. The girls caught fish and played in the river. I put up my hammock and read. 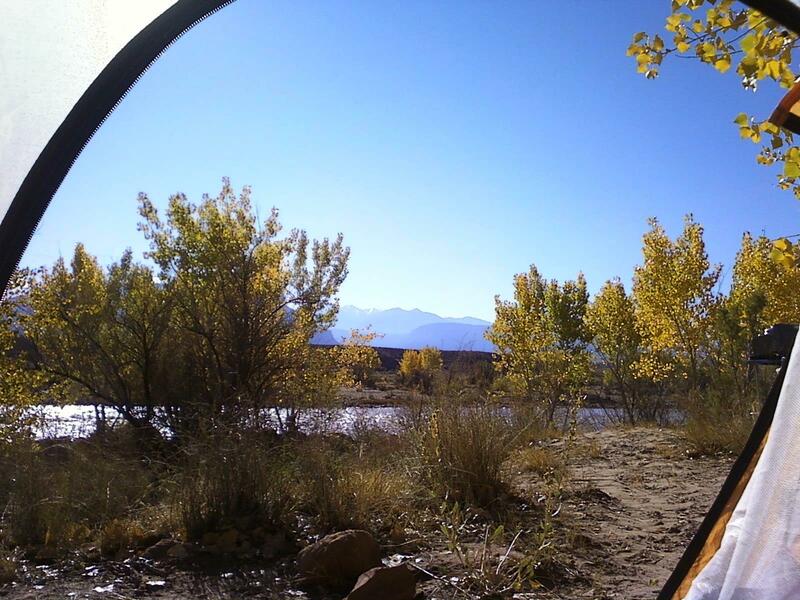 From our tent we looked out across the river to see snow on the top of the La Sal Mountains and we were so warm and cozy. So glad we went! 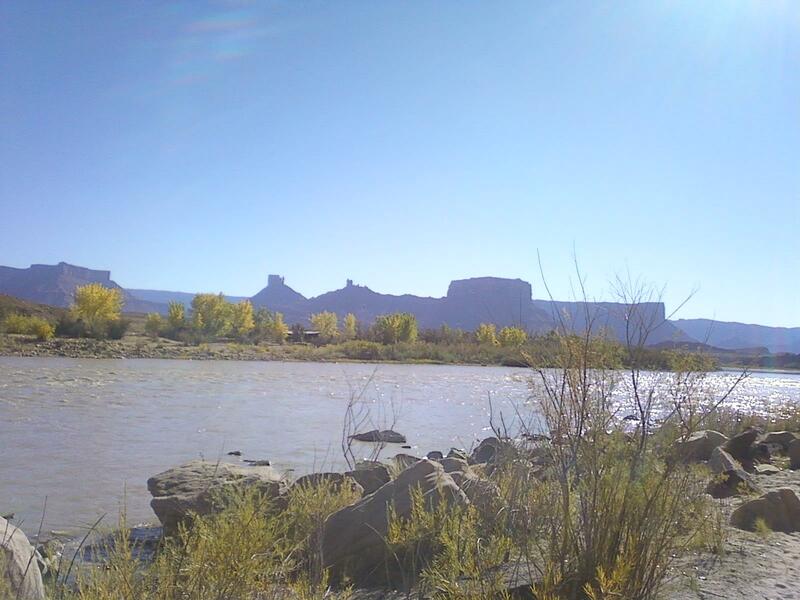 This entry was posted in Uncategorized and tagged bronwyn anglin, Colorado River, La Sal Mountains, rafting, river. Bookmark the permalink. 1 Response to The last raft trip for 2012….